A caretaker emptying out a flower pot at a North Texas cemetery earlier this month found the body of a newborn girl buried inside, police say. 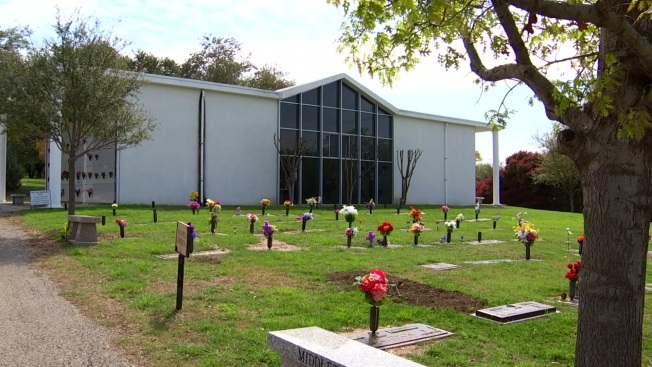 According to police, a caretaker at Perry Cemetery in Carrollton found the body after noticing the "out of place" flower pot on March 11. The Dallas County Medical Examiner determined the child was girl, weighing about 6 pounds. She was born somewhere between 34 weeks gestation and full term and still had her umbilical cord attached. The girl's race could not definitively be determined and investigators are awaiting further test results to determine whether she was born alive. "Information from the reporting caretaker indicates the flowerpot was placed in the Perry Cemetery sometime between Wednesday, Feb. 27 and Saturday, March 2," police said. Investigators have not said what charges could be filed, if any, should the birth mother be identified and located. Officials with the department said they also hope to identify the child and provide her with a proper burial. Anyone with information about the child or her mother please contact Detective Jennifer Cackler at 972-466-3324, or by email at Jennifer.Cackler@CityofCarrollton.com.